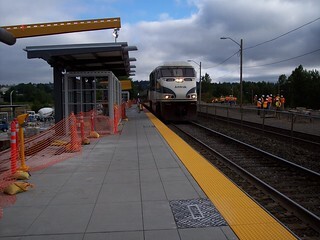 The Tukwila station was undergoing a major rebuild when we were there. 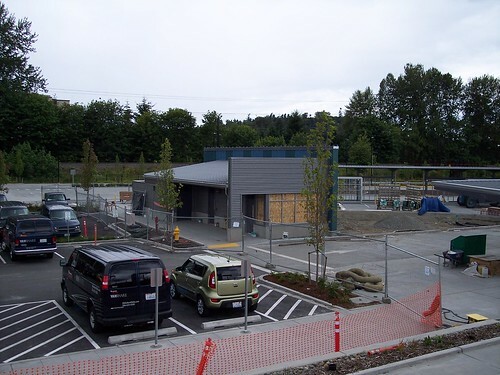 It looks like this may be the new station building. 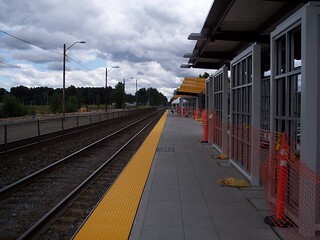 Only the partially complete southbound platform was in use. 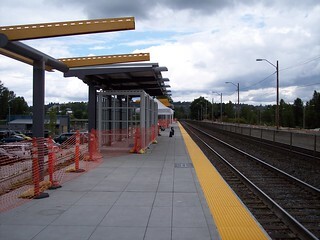 The northbound platform was being completely rebuilt. 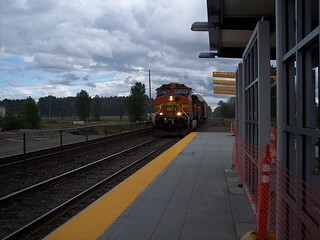 First a freight train and then our Amtrak Cascades train to Seattle roll into the station. 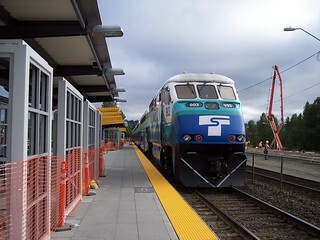 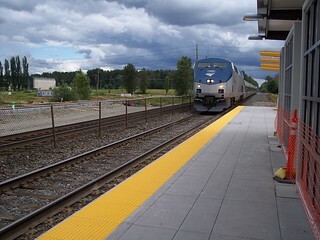 The Sounder arrives at the station. 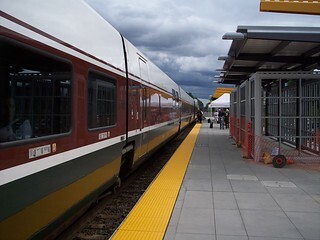 Our Amtrak Cascades train to Portland arrives. 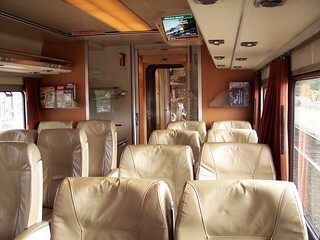 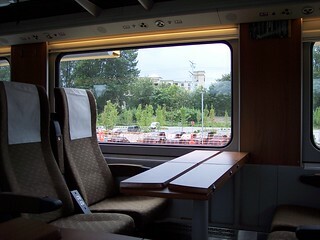 Interior views of the two different Amtrak Cascades trainsets we rode.